No tasting notes on the 888 Poker Trunk by Polignac Cognac but the producer talks of "aromatic richness combined with the freshness of candied citrus fruits scents and nuttiness of dry fruit notes. " Prince Hubert de Polignac 888 Trunk Cognac. 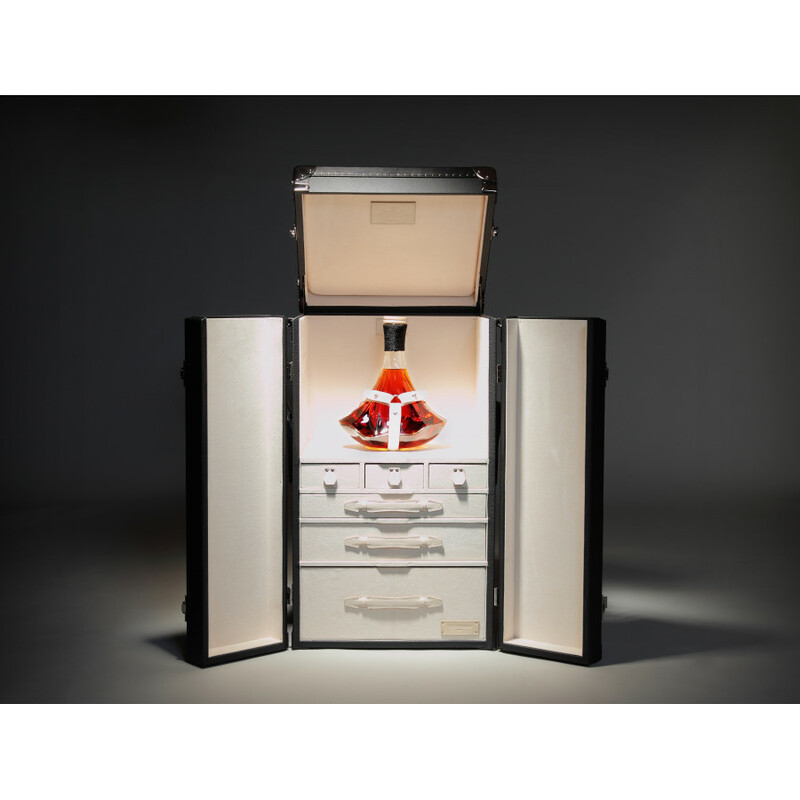 The collaboration of T.T trunks and Prince Hubert de Polignac has a Cognac and Poker trunk as an outcome. The cognac in the bottle comes from Polignac's Paradis. Price point is 27,000€.